To maintain good health, the Regional Public Health Department encourages you to eat at least 2 portions of fish per week and be active every day. Eating fish is excellent for your health. However, some precautions should be followed. Women who are pregnant or may become pregnant soon, breastfeeding women and children should try not to eat high-mercury fish. We recommend eating 2 meals per week of low-mercury fish. Most store-bought canned and fresh fish are low in mercury. However, canned white tuna, fresh tuna, swordfish and shark should be avoided. 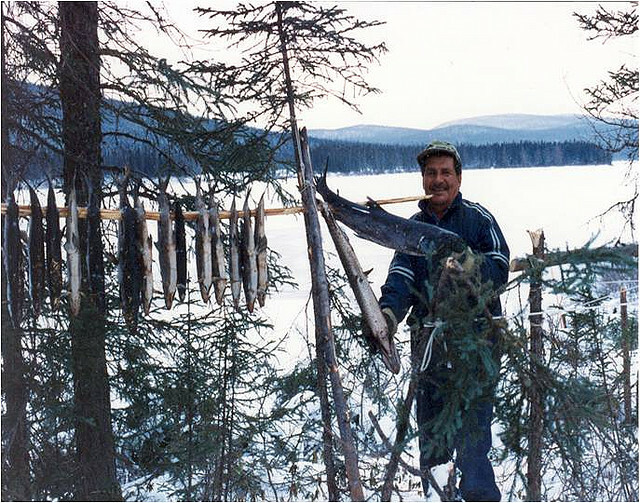 For a quick and easy way to see how much fish you can eat on your trapline, follow the link to Healthy Fish Eating in Eeyou Istchee and click on the map. Use the drop-down boxes on the top right to find your trapline. Beside each fish species, there is a coloured dot which shows how much of that kind of fish you can eat per month.